The most advanced VirtueMart 3 template is here. 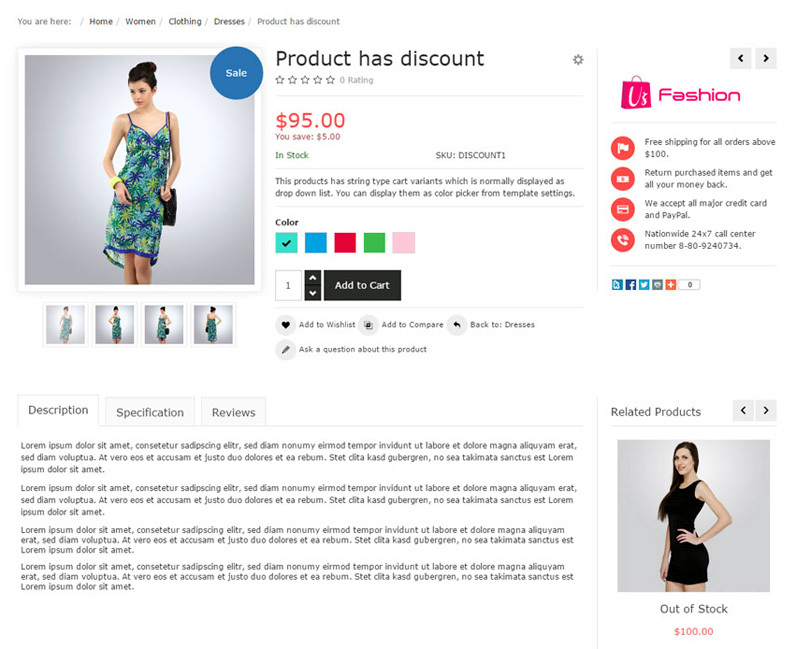 VP Merchant is a fully responsive premium Joomla 3 Template for VirtueMart 3. The template is built on latest Bootstrap 3 framework using modern techniques like HTML5, CSS3 and jQuery. VirtuePlanet has developed a new Joomla! template framework (VP Framework) specially for VirtueMart 3 and VP Merchant takes full advantage of the same. The template comes with many great features. Unlimited colors. Customize layouts, themes and colors from template settings. Mega Menu, Off-canvas menu, compare products, wishlist system, product carousel, manufacturer carousel, responsive image slider, Schema.org markups and many more. 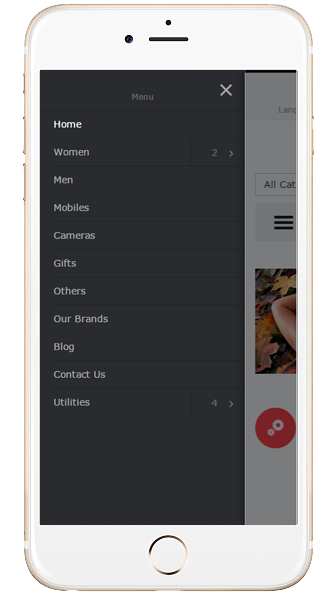 With individual layout controls for each menu item, it's easier than ever to build gorgeous mega menu layouts. Add modern off-canvas menu for smaller mobile devices. Fully touch enabled app like clean navigation system. Assign desired background color to standard VirtueMart cart variants. 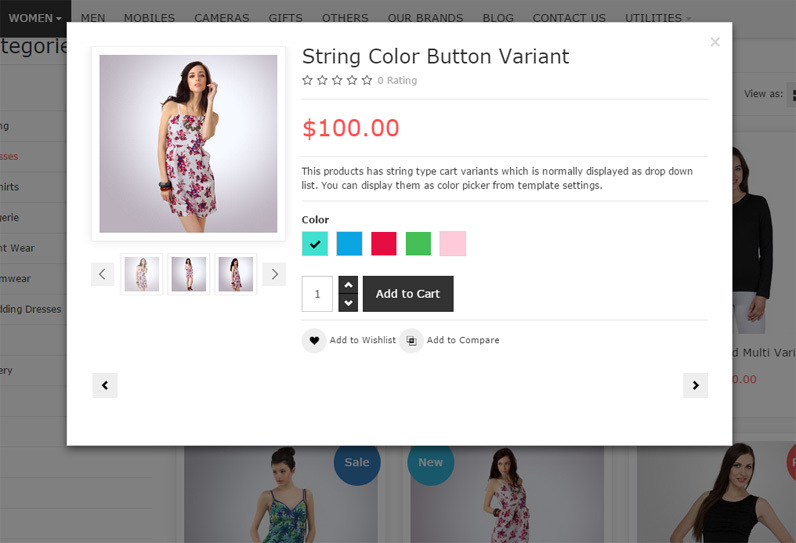 String type cart variants can be displayed buttons and as more advanced color swatches. 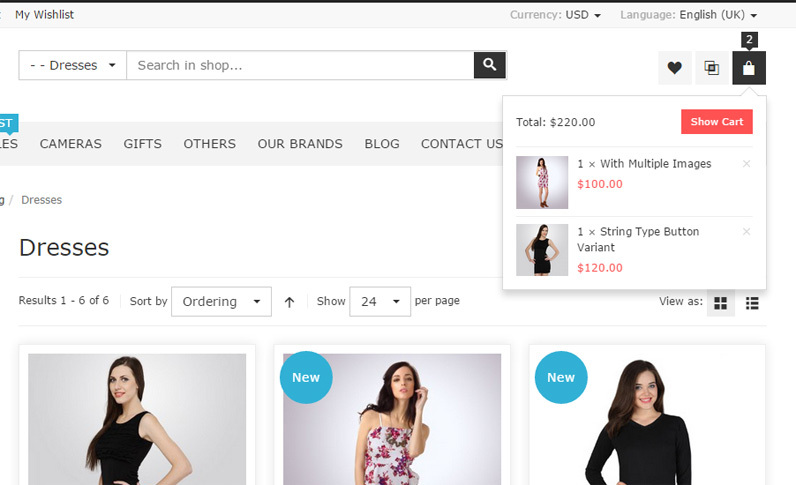 Make your site much more user friendly with wishlist and product comparison system. VP Merchant has been updated to version 1.1. This is mainly a bug fix version of the template with few performance improvements. We recommend all existing users to update the template in their respective sites. VP Merchant has been updated to version 1.3.1. New Feature - Ability add separate logo images for desktop, tablet and mobile browsers. Improvement - Script and CSS optimization system has been updated for better performance and lesser server load. Also includes several minor bug fixes. We recommend all existing users to update the template in their respective sites. VP Merchant ‪Template - Ver 1.4 has been released today. We recommend this update to all existing users of the template to avoid any future complication that may arise due to recent ‪‎VirtueMart‬ updates. VirtueMart 3.0.12 has been released yesterday. We would like to inform you that the latest version of VP Merchant 1.4 is compatible to VirtueMart 3.0.12. We recommend all users to get this important security update as soon as possible. Hello! I am making a shop with your very nice template. I use Joomla 3.4.5 and VirtueMart 3.0.10 (PHP: 5.5.30). Now I need to make a multiple choice on some of the custom fields. My customer is selling t-shirts with prints and their customers might want to have a print both on the back and the front of the t-shirt. I know that Custom fields for all would do that trick, but before I buy it I'd like to know if it is compatible with VP Merchant template. Thank you for an answer! This is a 3rd party extension and we have not tested it ourselves. I checked this demo product on the developer's site which seems to be okay to me -http://demo.breakdesigns.net/index.php/component/virtuemart/apparel/t-shirts/men-s-sport-t-shirt-detail However please remember that VP Merchant does not use jQuery Chosen plugin/script. If this extension can work without it then you should not have any problem. You need to check this with the extension developer. Thank you for your answer! I know this is not your forum, sorry about that. I just saw this topic and thought I could ask.. I have bought the extension and it did work with the template. I like your template VP Merchant. I will buy. I need a filtration system products. What is the commercial extension of filtration do you recommend for Your template VP Merchant? Waiting for your reply. Thanks. As of now we do not have any product filtering extension and we will not be able to recommend any 3rd party commercial extension. You need to check the following two things with the respective filter extension developer to ensures its compatibility. If they do not use standard VirtueMart Category view/page (i.e. index.php?option=com_virtuemart&view=category&....) to show the filtered product then "View Mode" (List/Gird) switch will not work. In that case you may have to disable View Mode switch in the template settings. I have had the pleasure of using Virtueplanet Merchant template on 2 sites now including a revision of my own J1.5/VM1 site. In the past, I had a preferred template provider for all the sites I build and work on and own 3 or 4 of their Pro, lifetime subscriptions. When it came time to update my own site, I went out looking for a Virtuemart template to use with my existing preferred template provider's template. I ended up paying $135 for a VM template and set out to put it to work. There were a number of things that just did not play well together so I decided to look for a different VM template. 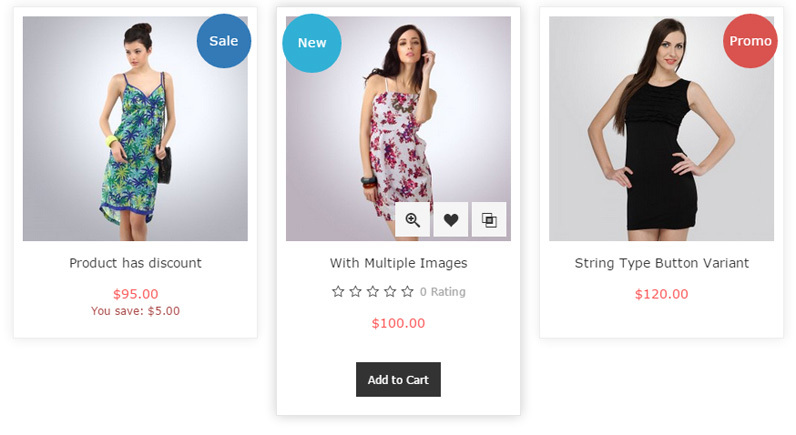 I did a long and exhaustive search and decided to change direction and go with a Joomla template that was designed for Virtuemart rather than two templates, one for JM and one for VM. I found 3 different ones that were of interest to me and put them through their paces with the demo sites. I just kept coming back to Virtueplanet Merchant so I took the plunge and paid for a base subscription for just the template. Remember, this was all after spending hundreds of $$ on other templates for JM and VM. I just liked what I saw enough to go ahead and jump in buy the subscription. I am SO glad that I did! The template is FANTASTIC and has all kinds of great features built in that really make my site very professional. My customers LOVE the new site and how easy it is to navigate and use. Actually, I liked it so much that I decided to purchase a general subscription so I could also use the VP One Page Checkout as well. At first, I was a little miffed that Virtueplanet did not offer an upgrade option to upgrade my single item subscription to a full subscription but I quickly got over that with how great it all works together! 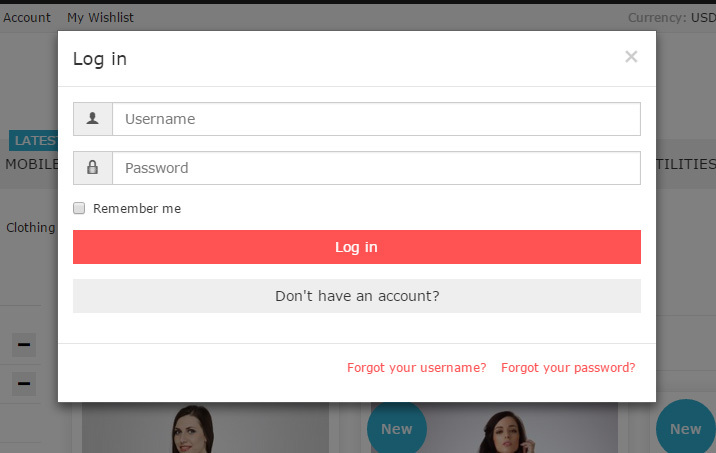 However, the ABSOLUTE BEST part about this template is the PHENOMENAL SUPPORT provided by Jumbo, the developer. I have used Joomla! since version 1.5 and always prefer to pay for extensions and templates to reward the folks who help make my business easier. I have spent thousands of $$ on templates and extensions over the years and worked with a lot of Joomla! developers but Jumbo is heads above all others with his super support. Not only does he go out of the way to make sure you are happy, he also does it very fast! I personally have had him fix issues with other developer's extensions because the other developer refused to do so. This was all at no cost to me. I have also seen it in his support forum. There is a fairly recent post by another user who was having problems with another developer's extension. Jumbo asked for credentials to get to the site and ended up fixing the other extension for the customer, all without asking to be paid! I have also had the need for some customization of certain template functions and Jumbo never hesitated to write the code for me and tell me how to install it, all without asking for any payment. As a result, I have actually sent him unsolicited Paypal payments to thank him. I know that if I have an issue, I can post it on his site in the evening US time and will have an answer from him right at 10:00pm which is when his support service opens. I can almost set my watch by it! I just can not say enough good about his ABSOLUTELY STELLAR customer support. There is NONE BETTER ANYWHERE IN THE JOOMLA! WORLD! Thank you so much for taking the time to write us a great review, we really appreciate it. It's a real boost to us when we get a good review and feel our efforts are appreciated.